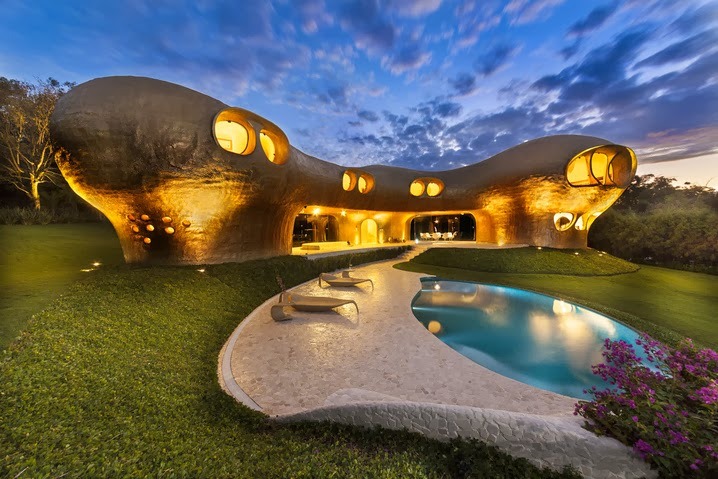 Located in Itú, in the state of São Paulo, the Amoeba house is just one of the crazy results of mexican architect Javier Senosiain's so called organic architecture. It is built on a slope, incorporating itself into the natural soundings with no fences or gates. The colour scheme is largely off white and beige with some copper and gold finishing. 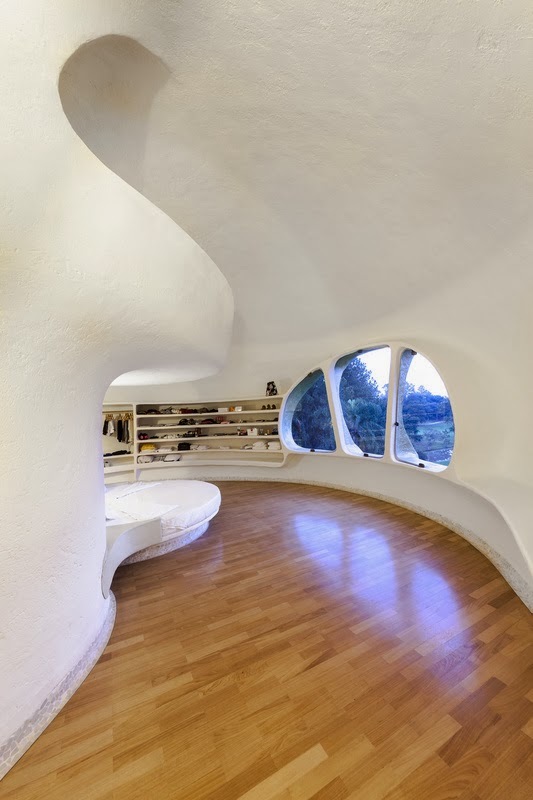 Interestingly much of the furniture has been built to form part of the house construction itself. 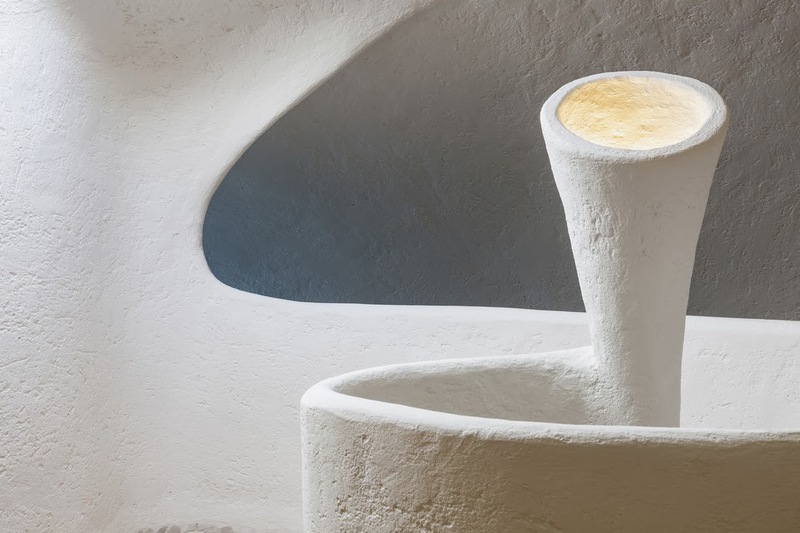 Javier's work has been compared to Frank Lloyd Wright, Bruce Goff, Soleri, Hundertwasser, Gaudi and Rudolf Steiner. WOW!! I'm surprised and was thinking is that kind of architecture really exists on earth. 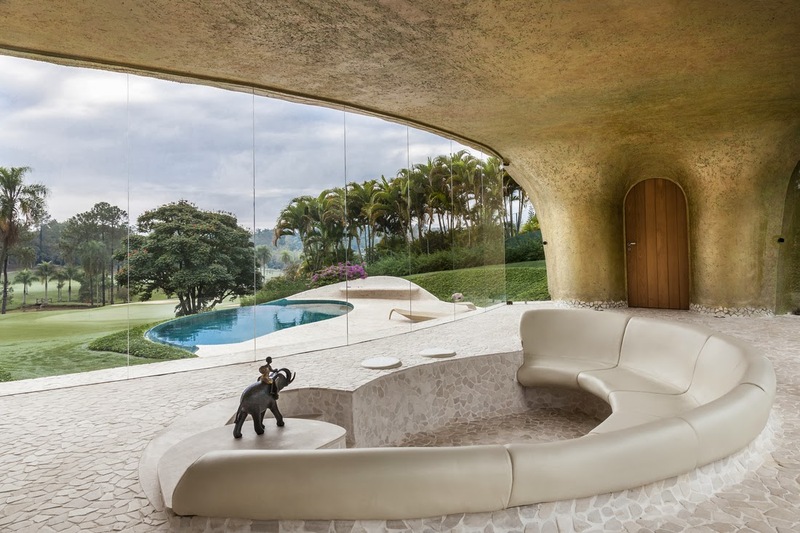 Man that's a great house built by Javier Senosiains and I'm very pleased to check out these awesome pictures of such architecture. Thanks. So glad I found your site. I am married to a Brazilian (a Paulista, actually), and we spend some time in Brazil every year. 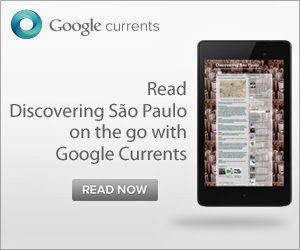 I run a travel blog and sometimes write about Sao Paulo. I'm always looking for new things to do there (here is my most popular post about Brazil: http://thisismyhappiness.com/2013/04/03/things-to-do-in-sao-paulo-brazil/). I've pinned this post for my next trip. Thanks! That's great Jenna! I'm sure you'll find Itu interesting. Look out for the oversize objects!